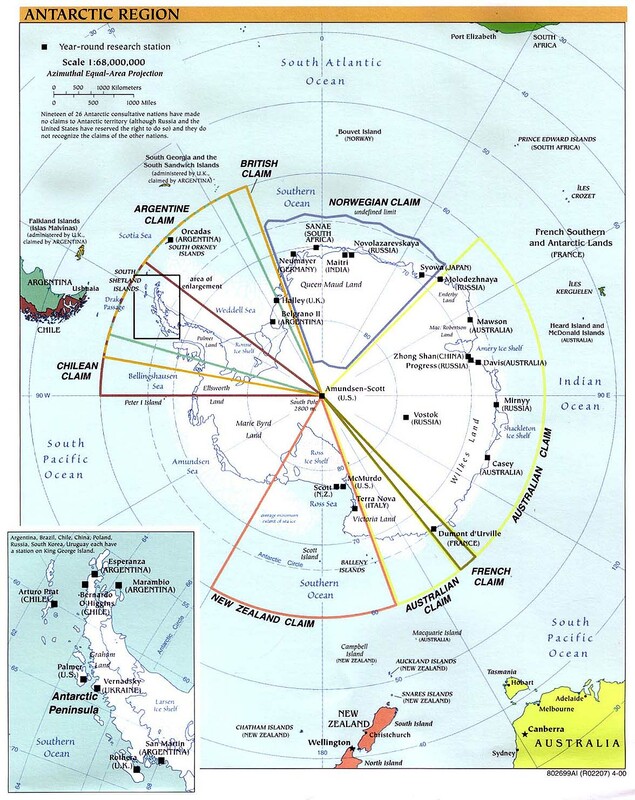 Explanation: The long shadow of the Moon fell across the continent of Antarctica on November 23rd, during the second total solar eclipse of 2003. In this view from orbit, based on data from the MODIS instrument on board the Earth observing Aqua satellite, the Moon's shadow stretches for almost 500 kilometers. 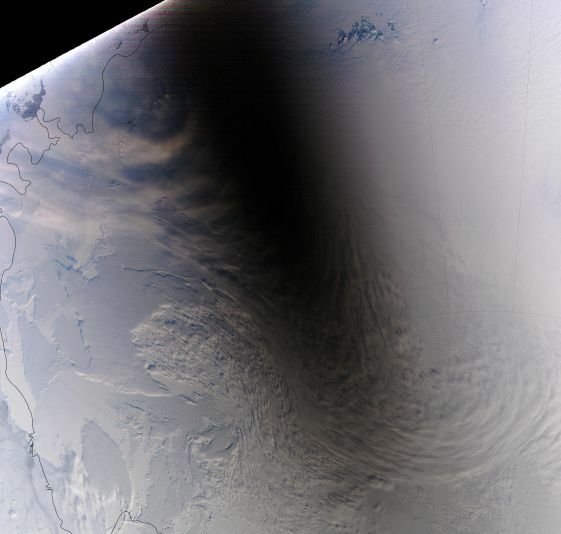 Recorded between 23:15 and 23:20 Universal Time, the shadow was cast by a lunar disc silhouetted by the Sun hanging only about 15 degrees above the antarctic horizon. Observers within the central dark portion of the oval-shaped shadow could view the totally eclipsed sun. Shadows of mountains and clouds are also visible over the Norwegian named Queen Maud Land, Antarctica with the South Pole just beyond the lower right corner of the image.